I had the opportunity this week to make a couple of things that I've seen online recently. The first thing I made was a batch of super yummy Coconut Bounty Bites from Stephanie at Silver Boxes. She has a really cool blog with crafts, makeovers, and recipes. You should totally check it out! 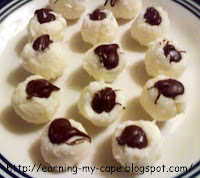 I think the next time I make them, I will take half of the batch and place an almond on top. Or maybe a half of an almond or an almond slice. I think it will be both yummy and pretty! Thank you Steph, for sharing this awesome recipe! The other thing I made this week is something that I've see so many places online that I don't know where it originated! I would totally give credit, if I could! Sorry. You know those hot dog slices that they stick uncooked spaghetti through, then boil? 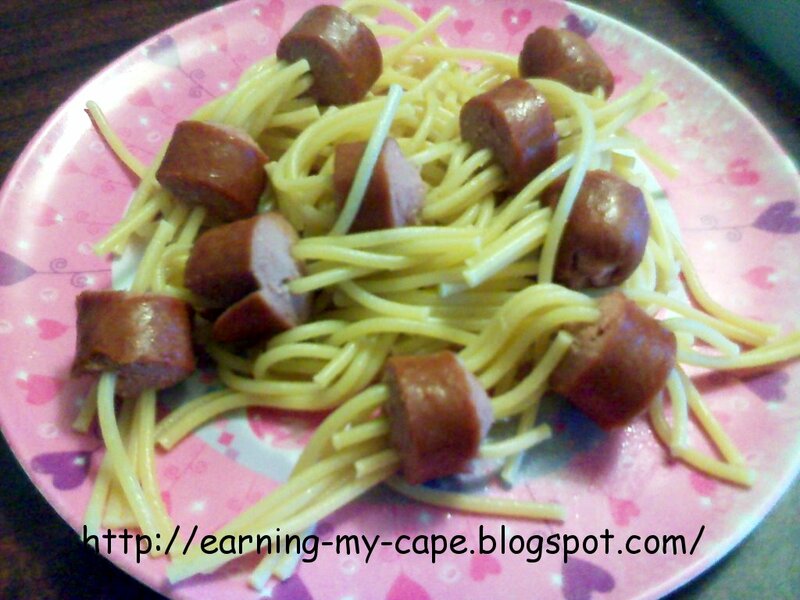 I made that for lunch for my three youngest girls, and they loved it!!! I have a couple of other projects that I've seen online waiting to be completed. When I finish them up, I will share them with you all, too! First of all, your comic at the top is sometimes the story of my life. I love it, hah! 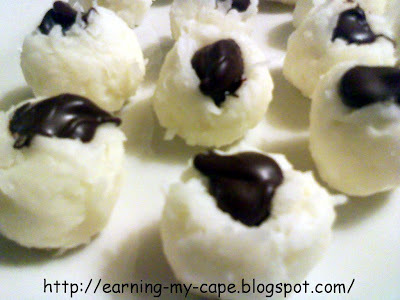 Secondly, those coconut bites sound so wonderful - especially with the almond idea. I LOVE almond joys, and the flavors would be just perfect! Oh how yummy these looks :)Bet I can't eat just one! Thank you Baking With Blondie and LDH! Oh my gosh!!! These look delish!! guess I'll go back to the store tomorrow...lol! Thanks for you invite to your First Link party tomorrow. I tried to reply, but it said you were a no-reply blogger...so thought I'd thank you here! Hi Janis! Thanks for stopping by! cute! I love the coconut mounds and the spaghetti and dogs are too cute- my kids would get a kick out of that, also!